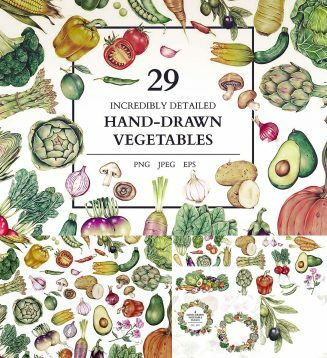 Set of 29 beautiful and extremely detailed hand drawn vegetable elements. Find avocados, artichokes, chillis, olives, along with other essential vegetables to use in your cooking related projects. 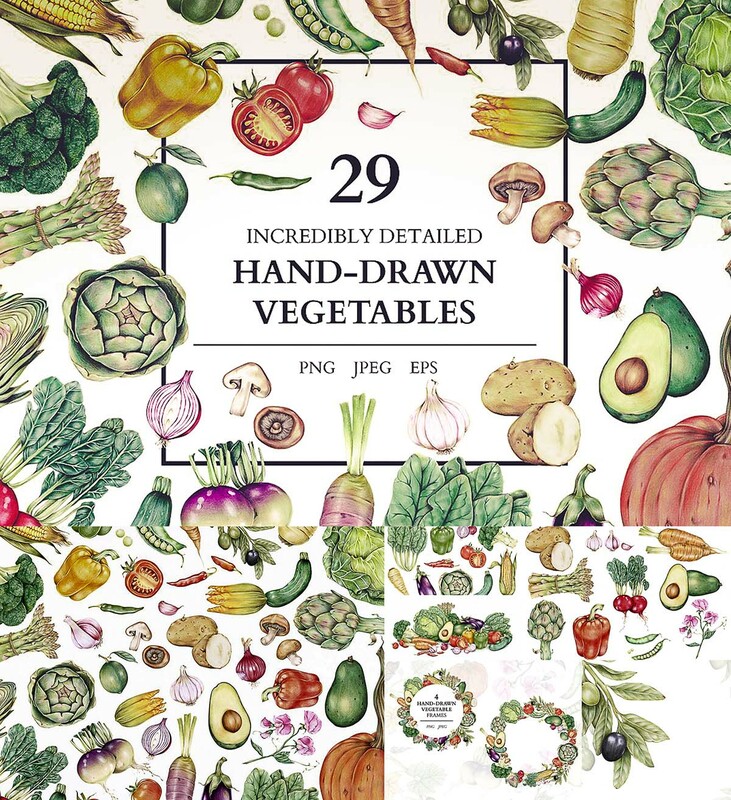 Tags: arrangement, artichoke, asparagus, avocado, cabbage, carrop, composition, hand drawn, mushroom, olive, pepper, tomato, vegetable, wreath.